After a root canal treatment, your tooth has to be restored(fixed) to look, feel and work as much like a natural tooth as possible. If an endodontist performed your root canal treatment, he or she will fill the opening of the tooth with a temporary filling and send you back to your dentist or prosthodontist for tooth restoration. Your tooth will need a permanent restoration — a fillingor a crown — to replace lost tooth structure, and provide a complete seal to the top of the tooth. 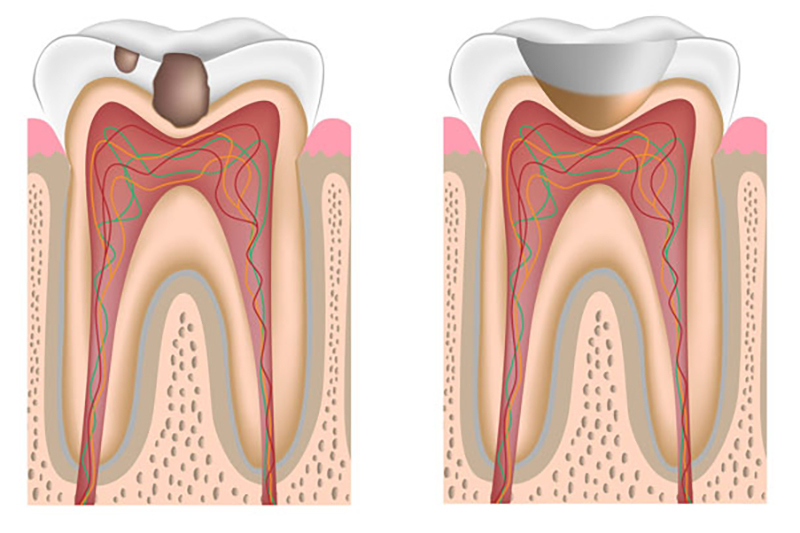 Your endodontist will send you back to your general dentist to determine which type of restoration is best for you. This step is of particular importance since many studies show that if the filled root canals are recontaminated with bacteria from the mouth, there could be a recurrence of infection around the tooth. Would it be better just to have my tooth extracted? I didn’t have any problems until after my dentist placed a crown/filling. Why do I need a root canal now? Is root canal treatment usually successful?